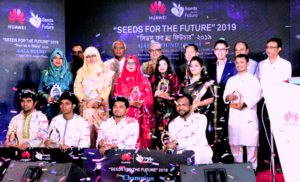 ICT Minister Mustafa Jabbar and CEO of Huawei Bangladesh Zhang Zhengjun with top 10 students in gala event of “Seeds for the Future 2019”. Huawei, world’s leading ICT solutions provider has announced 10 outstanding ICT talents from five renowned universities of Bangladesh. Selected students’ names have been declared at a gala event of ‘Seeds for the future’ 2019 held at the Amari Dhaka Hotel at Dhaka on April 3, 2019. The program was inaugurated by Hon’ble Minister for Posts, Telecommunications and Information Technology Mustafa Jabbar. Government of the People’s Republic of Bangladesh. Mr. Li Guangjun, Economic and Commercial Counselor from the Embassy of China in Bangladesh was the special guest of the event. Mr. Zhang Zhengjun, CEO of Huawei Technologies (Bangladesh) Ltd. was also present at the event. This year’s selected students are- Tasfia Zahin and Sarkar Snigdho Sarathi Das from Bangladesh University of Engineering & Technology (BUET), Mayeesha Farzana and Koushik Kumar from Dhaka University (DU), Tasfia Seuti and Minhaz Bin Farukee from Rajshahi University of Engineering & Technology (RUET), Atia Islam Ankhi and Jahedul Islam from Khulna University of Engineering & Technology (KUET), Monisha Dey and Kamrul Hasan from Chittagong University of Engineering & Technology (CUET). The students will get a two-week hands-on learning experience in Beijing and Shenzhen, departing by end of this April. This year, the selection round has been reached to five universities. 120 students (600 in total) from each university have taken part in the primary screening session from which 15 students have been selected for 2nd phase of examination. Then two students from those 15 students of each university has been selected after examination and interview. In collaboration with the respective faculties and Huawei expert team, Huawei selected these top students to travel to China and learn about technologies. At the event Mustafa Jabbar said, “Such kind activity will help the young talents to have the clear concept about ICT advancement so that they can and contribute for our country. This kind of arrangement must be appreciated. 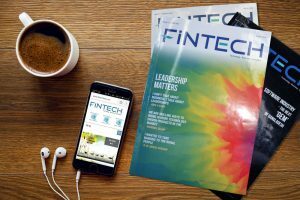 Bangladesh is now going to become completely digital in a very short period”. “I want to thank Huawei for being with us in this journey. We are not far behind to bring 5G to Bangladesh. Huawei has shown that the technology is at their fingertips. We are already working with Huawei. Hopefully we can get 5G within 2021 to 2023. But we hope that we can get it before that time,” added Jabbar. “We hope and welcome the seeds to join us, join ICT Industry of Bangladesh to help the country achieve the vision of Digital Bangladesh-2021 by contributing their knowledge.” He added in a following interview. Seeds for the future 2019 Bangladesh ran its selection round over one and half months, starting from February. Today it ends with these 10 top talents.